Home/Knowledge Base/CMS/How to install Joomla in Softaculous? How to install Joomla in Softaculous? 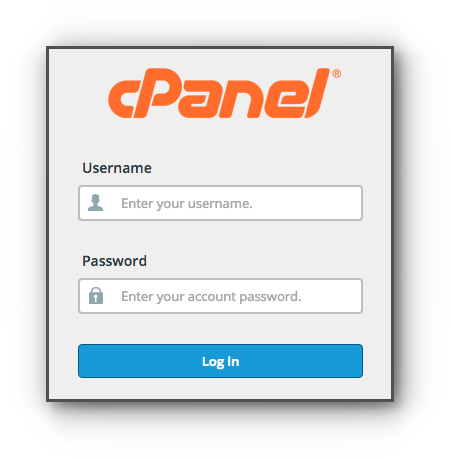 An easy way to install Joomla is through the cPanel via Softaculous Apps Installer. Please be guided by the instructions below. Step 2. 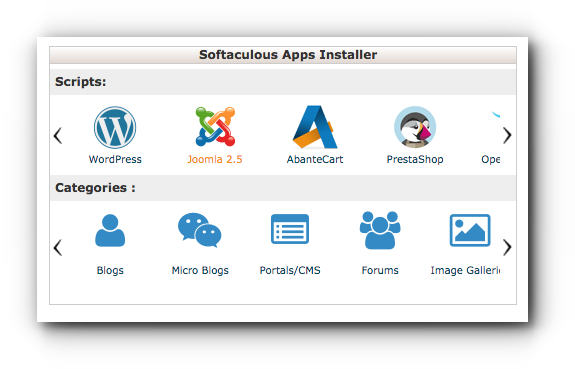 Click on Joomla 2.5 under Softaculous Apps Installer. Step 3. 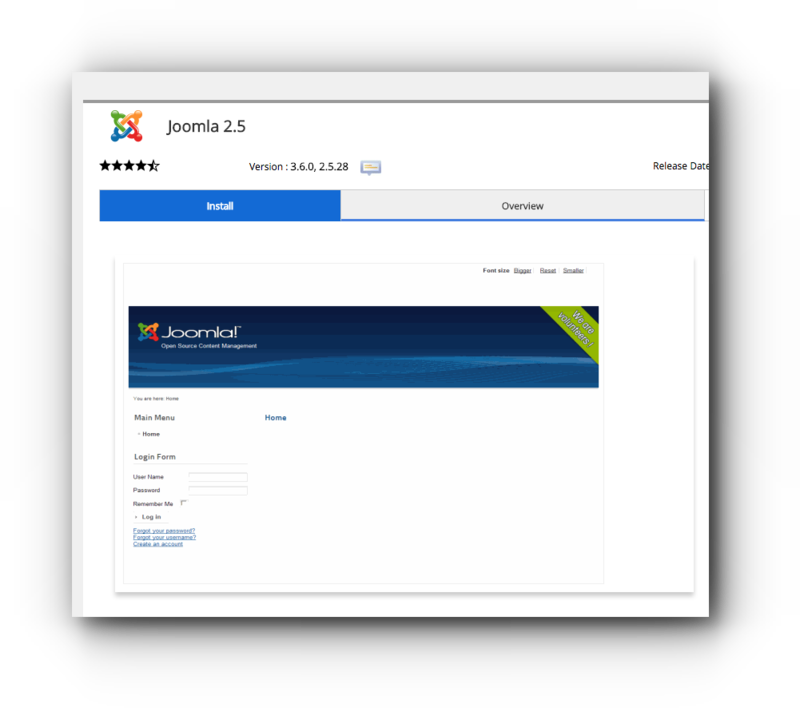 In the installation page of Joomla 2.5, click on Install. Version: You may choose on version 2.5 or 3.0. Choose Domain: If you have multiple domain names, choose on the desired domain you want to install Joomla for. In Directory: This will be the directory where the Joomla files are saved. Step 5. Choose on what Sample Data you want to use for the Database Settings. Step 6. In the Site Settings, you can modify the Site Name and Description. Step 7. Enter the Admin Username, Password, Real Name and Email address. Step 9. Click on Install button to continue with the installation which may take a few seconds or minutes. Step 10. Take note of your Joomla URL and Administrative URL.